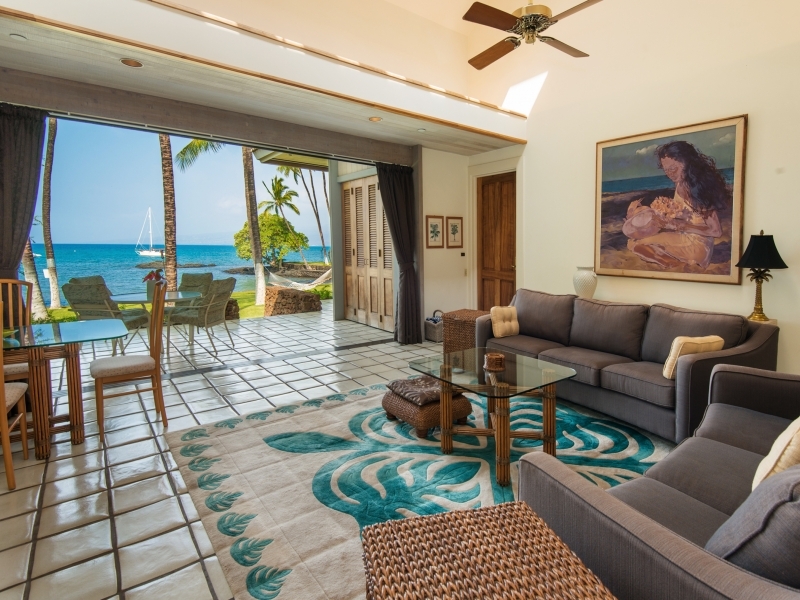 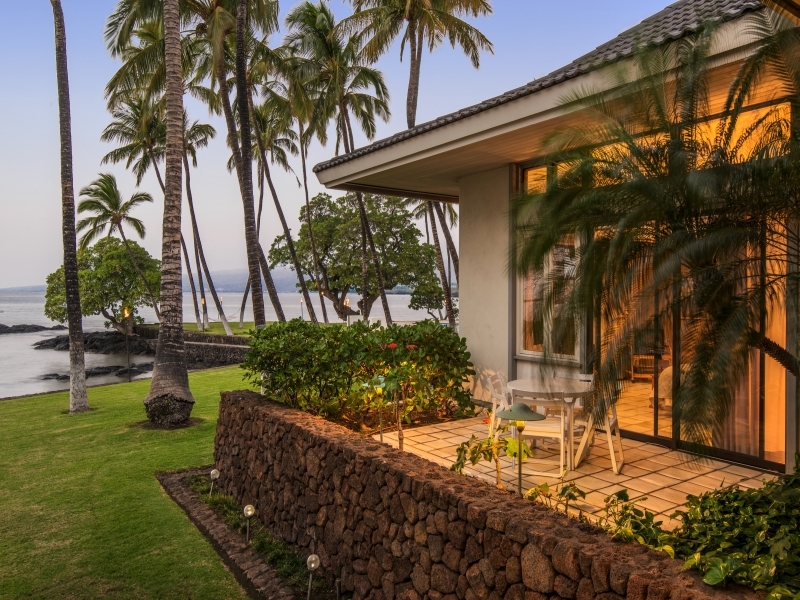 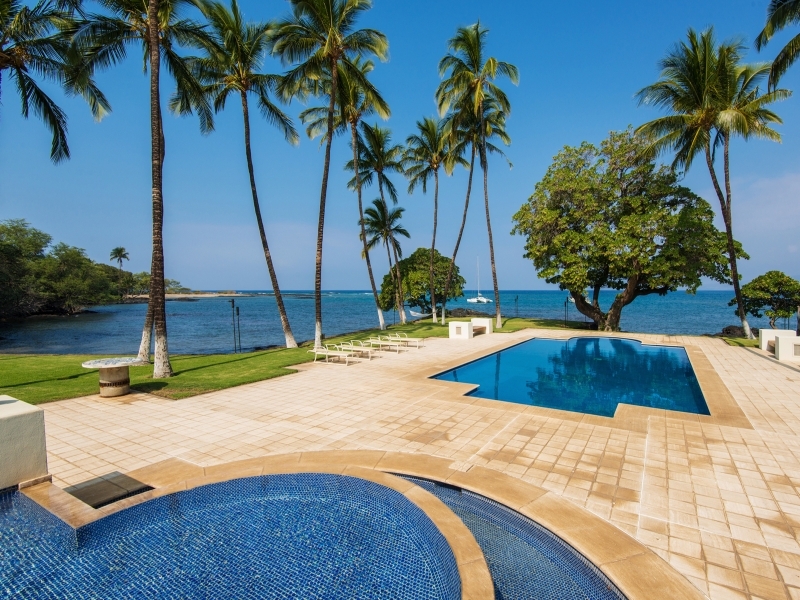 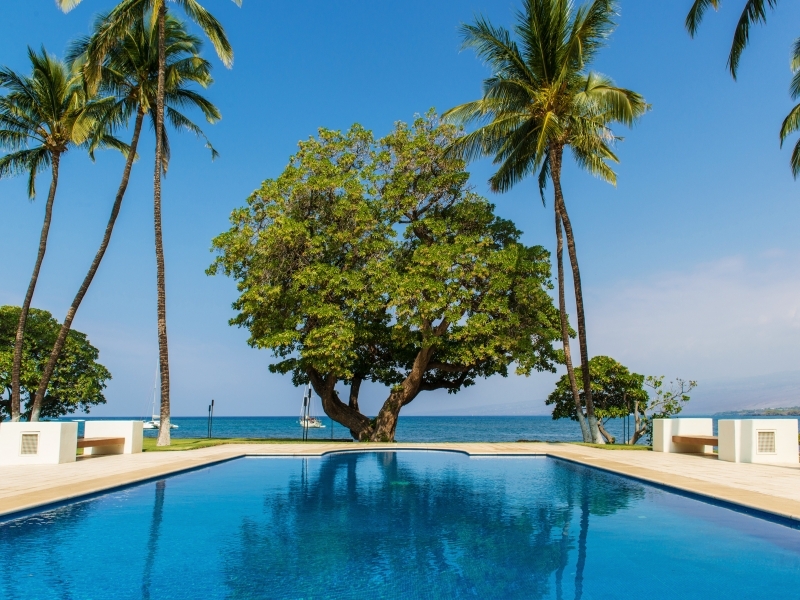 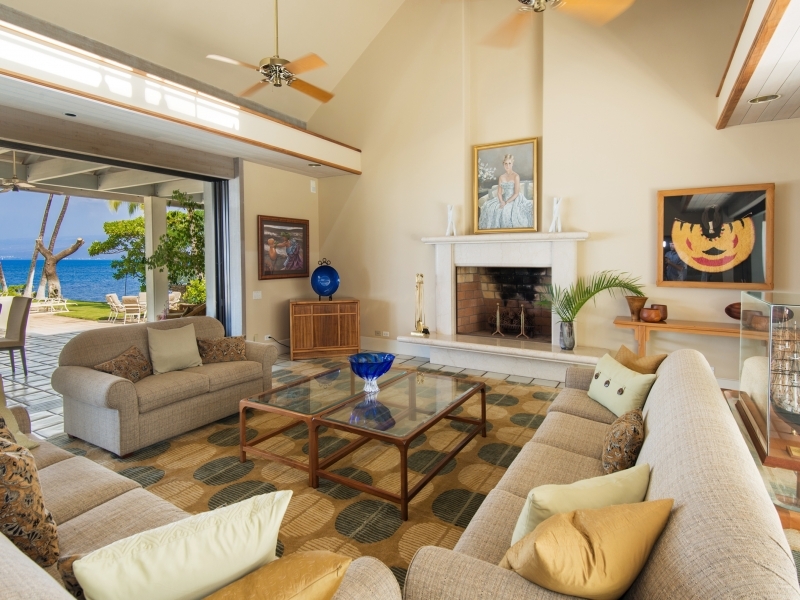 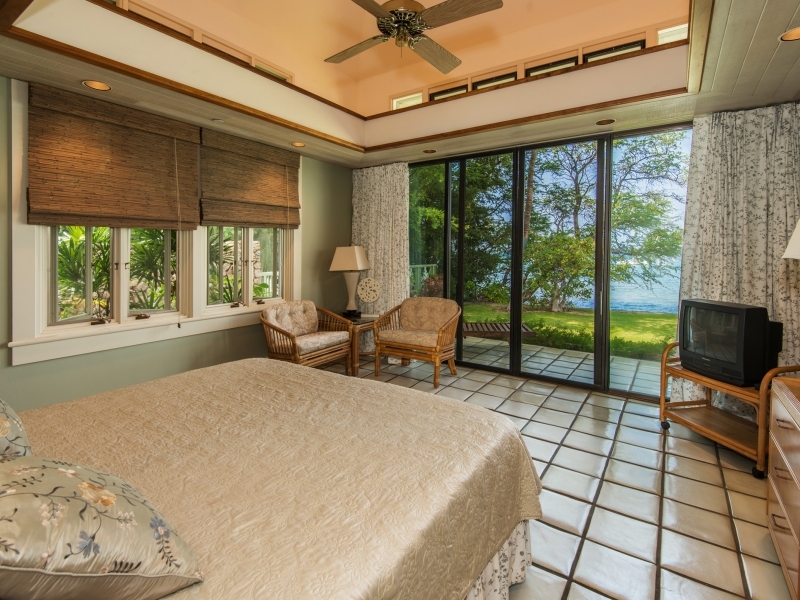 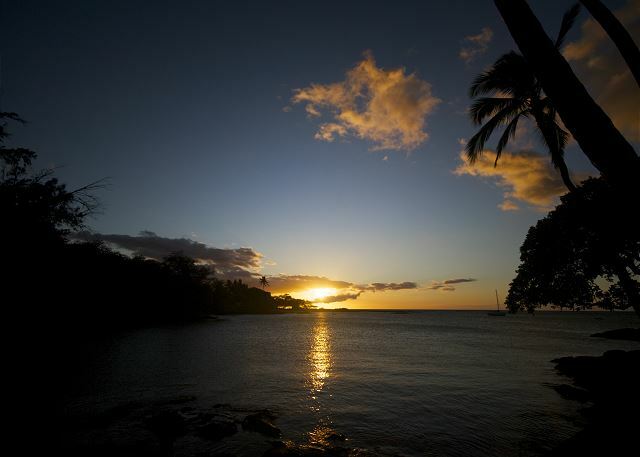 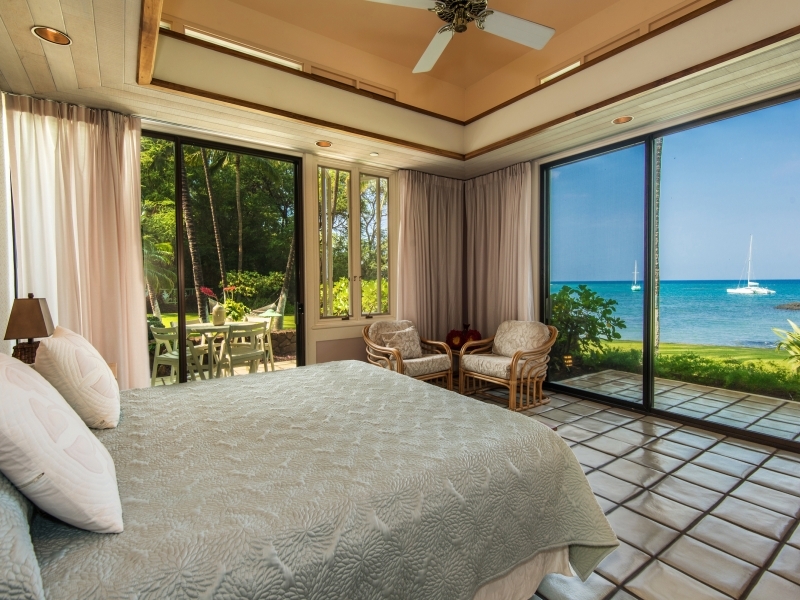 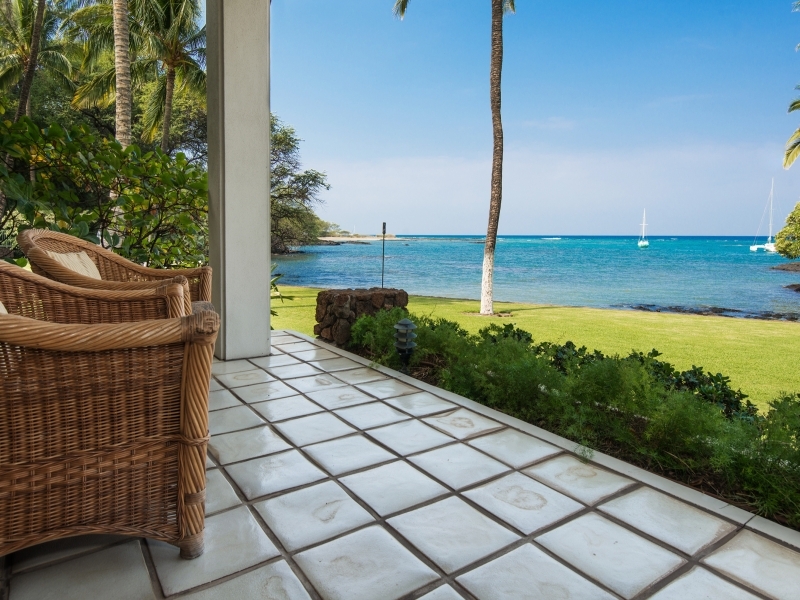 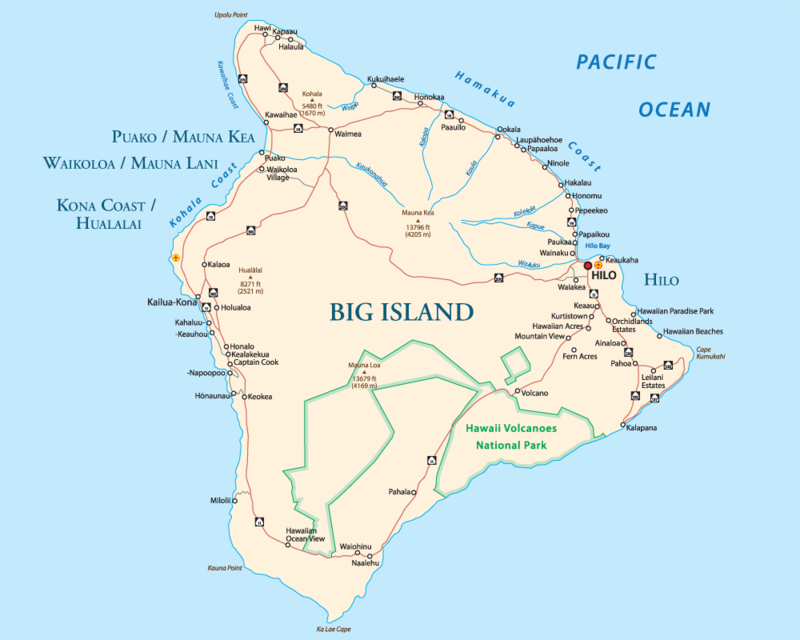 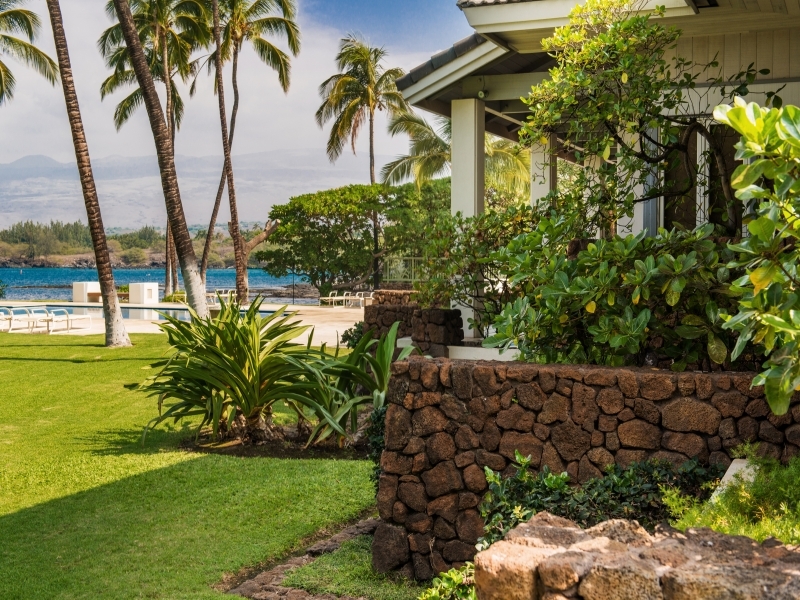 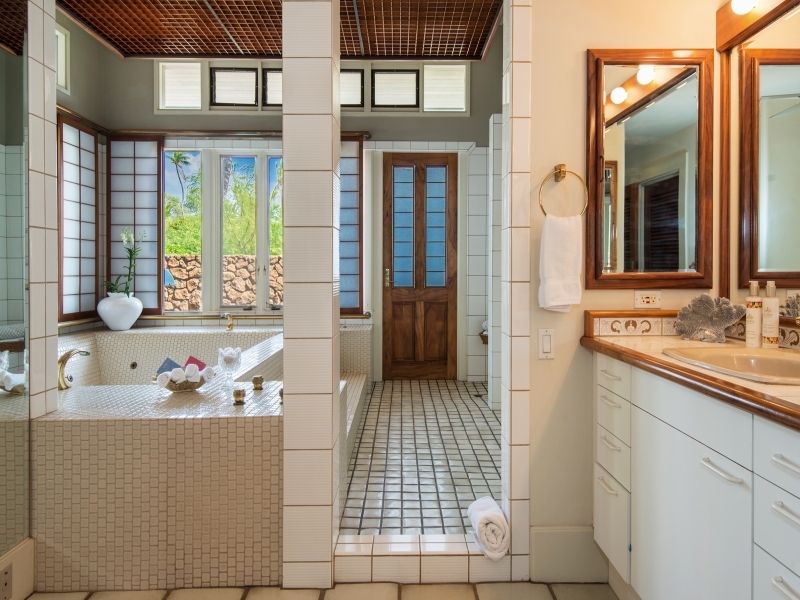 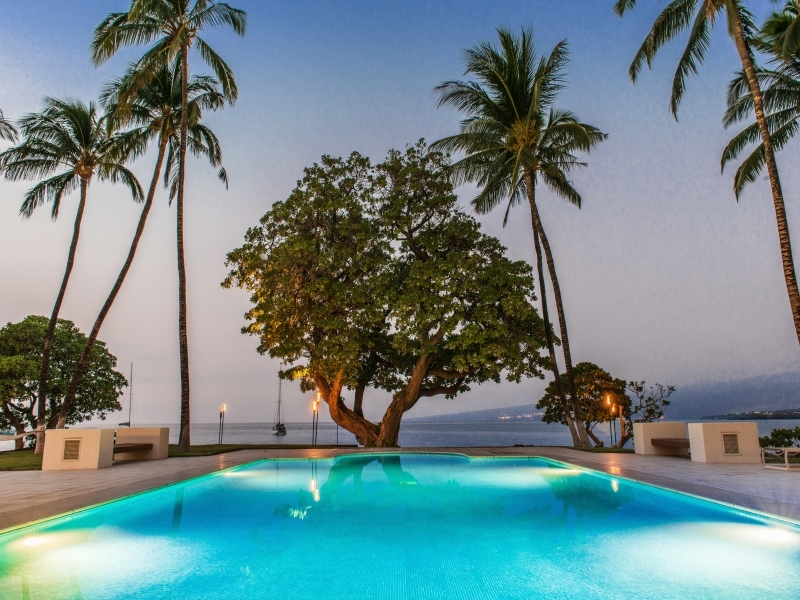 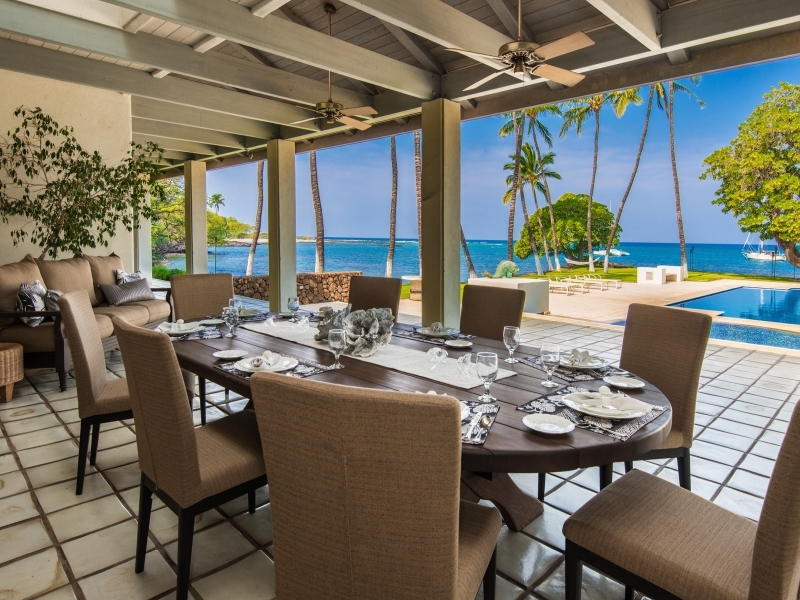 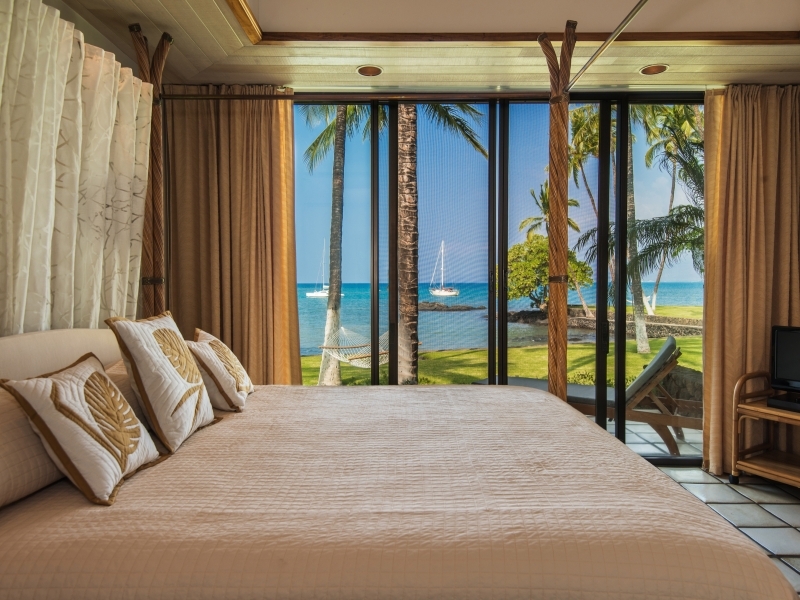 Puako Plantation Estate – Luxury Vacation Homes, Inc.
Puako Plantation sits on the shores of a calm, protected bay in Puako, on the Big Island’s Kohala Coast, just five minutes south of the world-renowned Mauna Kea Beach Hotel. 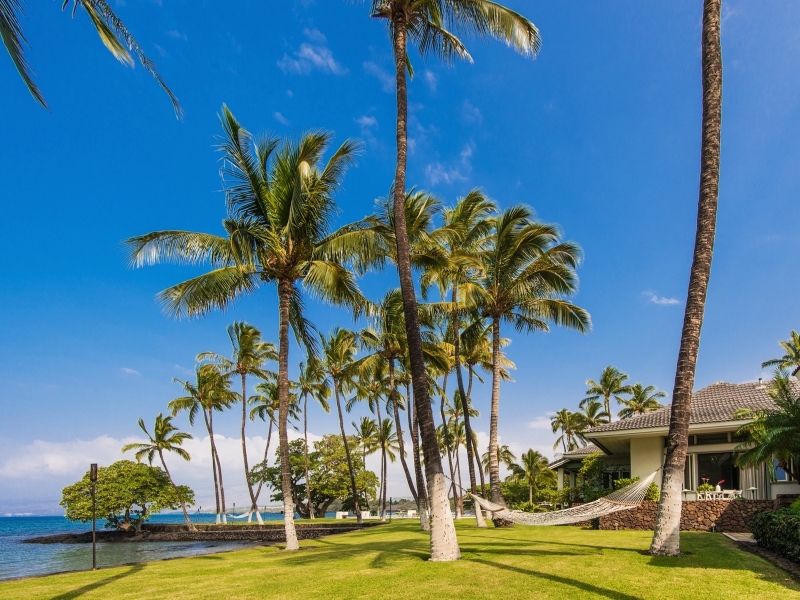 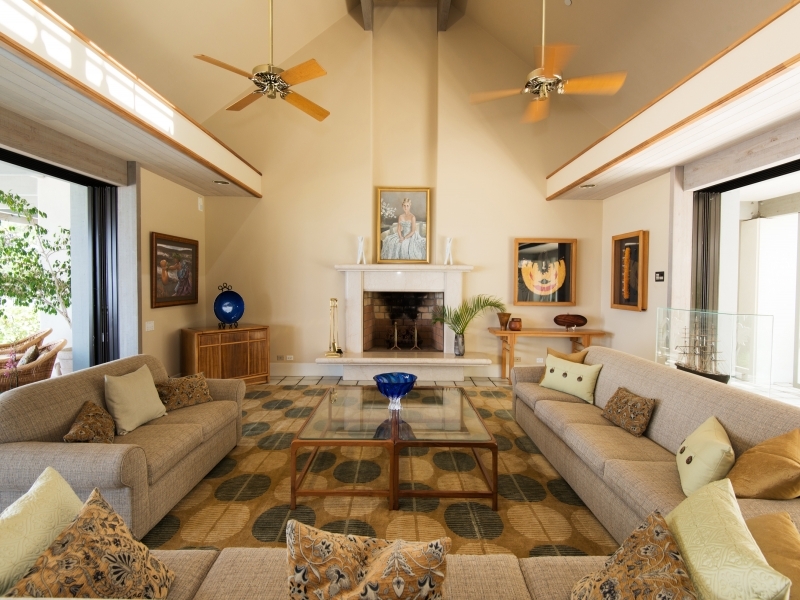 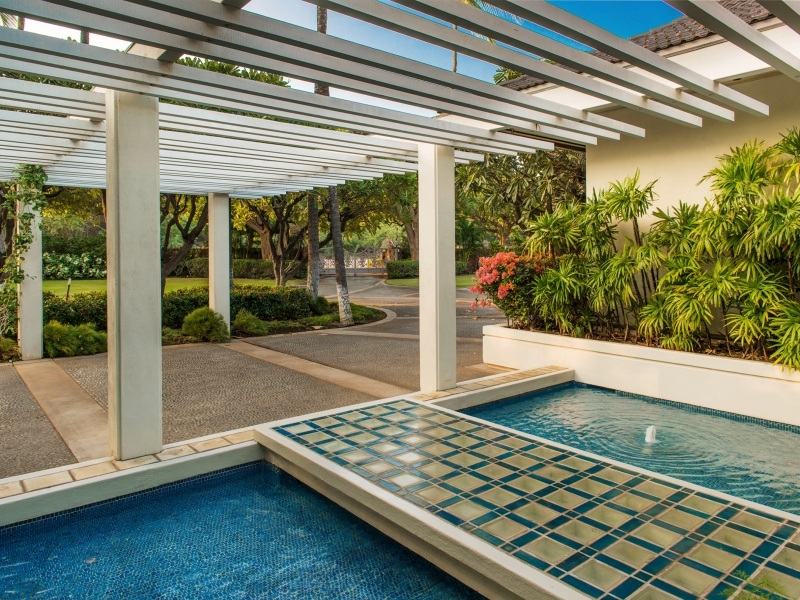 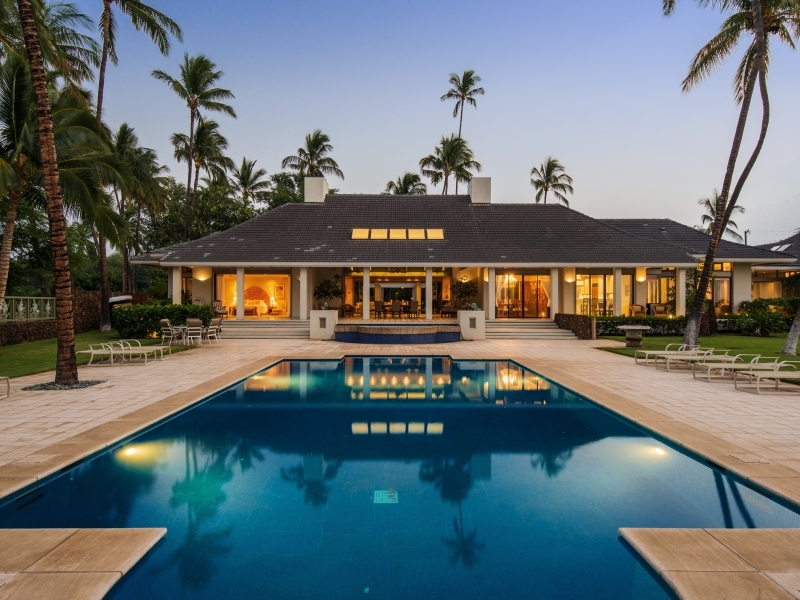 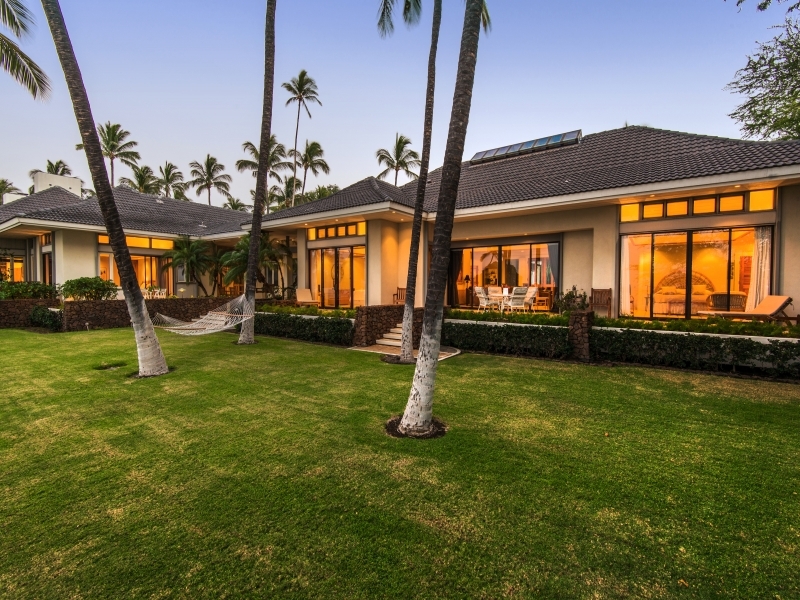 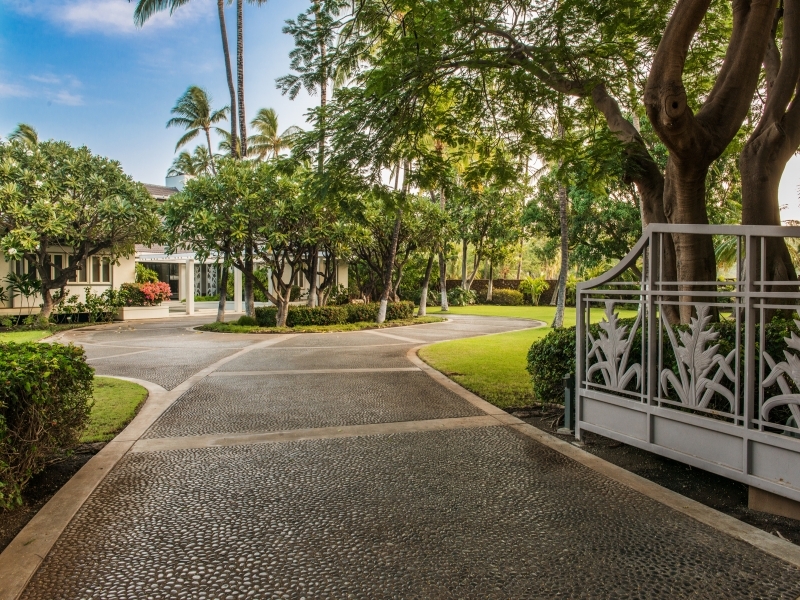 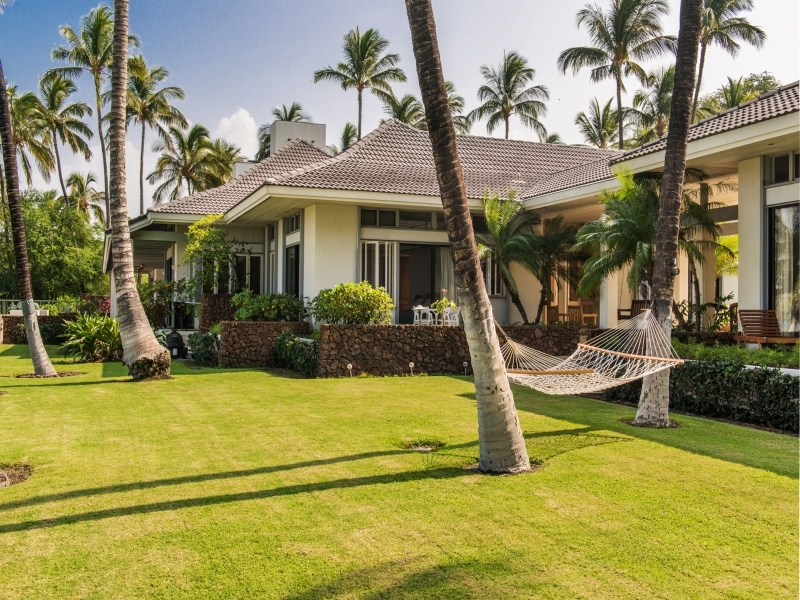 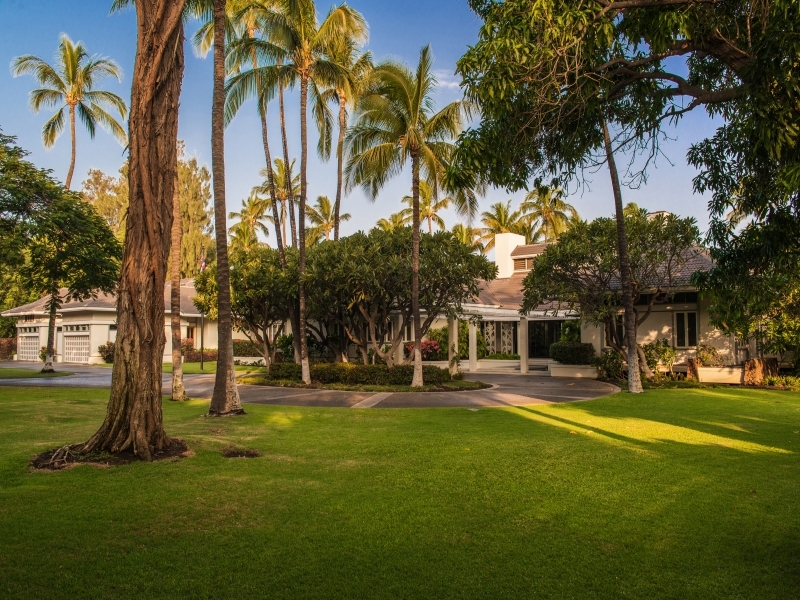 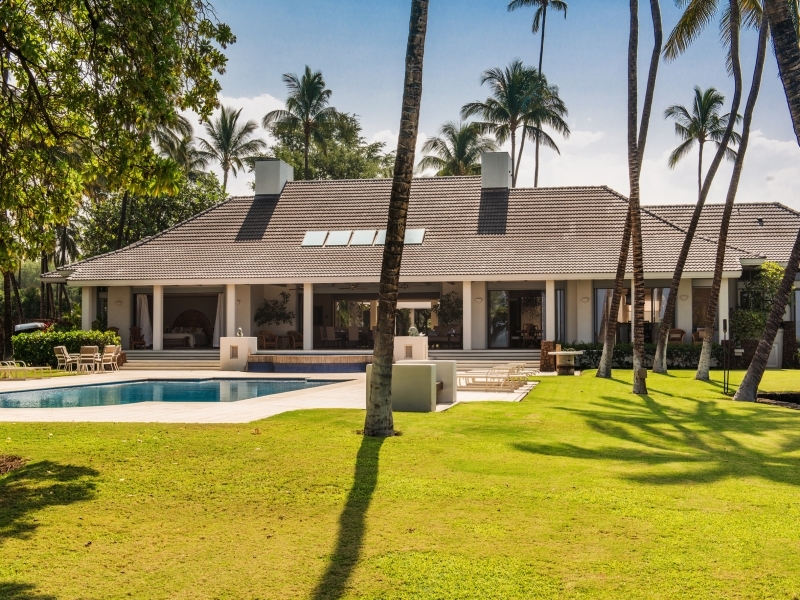 This six bedroom 11,000 square foot home consists of open lanai and airy breezeways designed in a gracious Hawaiian style. 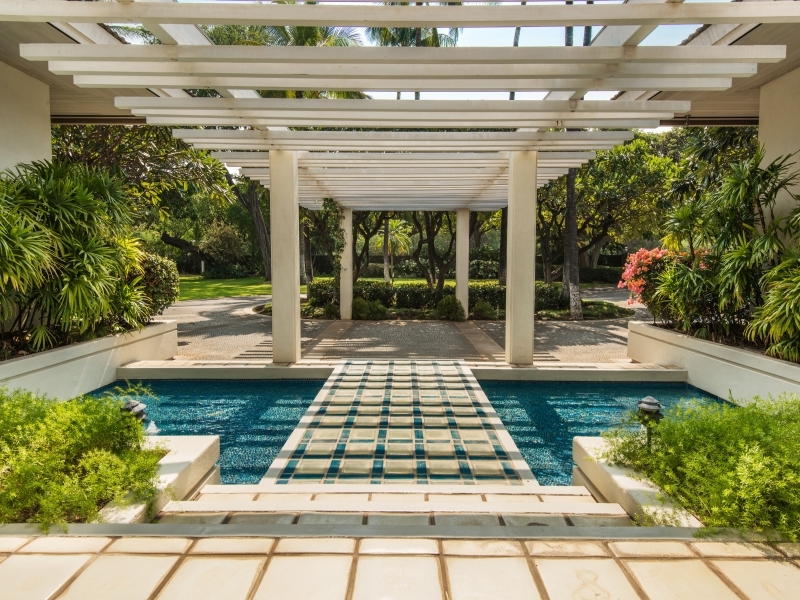 The understated elegance prevails throughout the interior spaces, tropical vegetation, manicured lawns and exquisite furnishings. 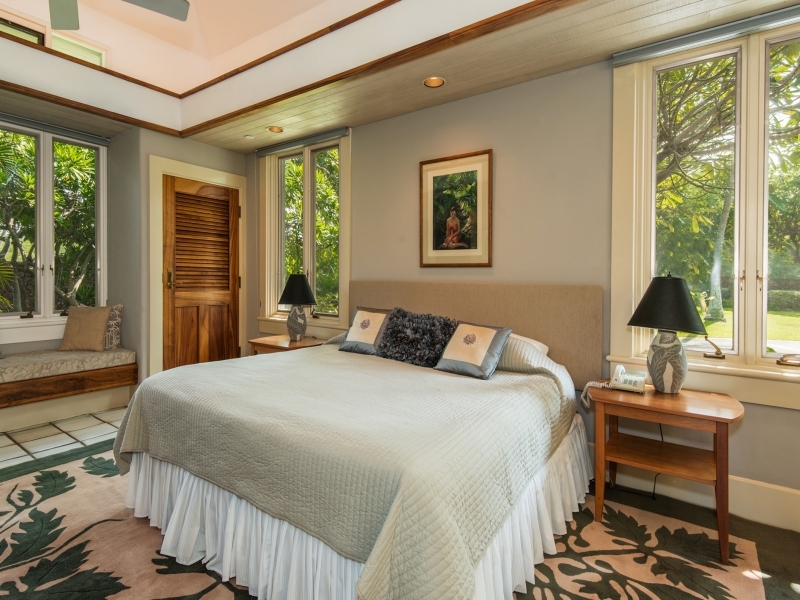 Reminiscent of the Hawaii of old, guests find a peace and tranquility that is masterfully combined with Hawaiian hospitality making Puako Plantation a place of total relaxation and restoration. 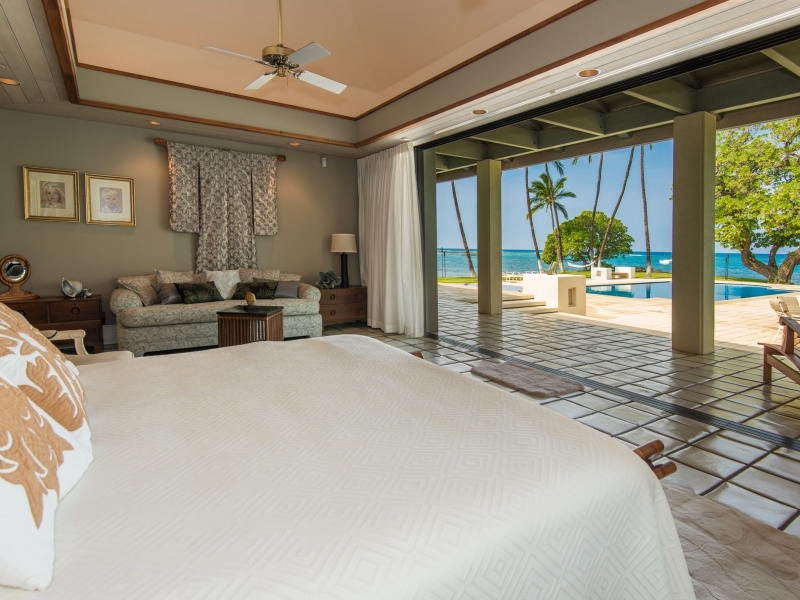 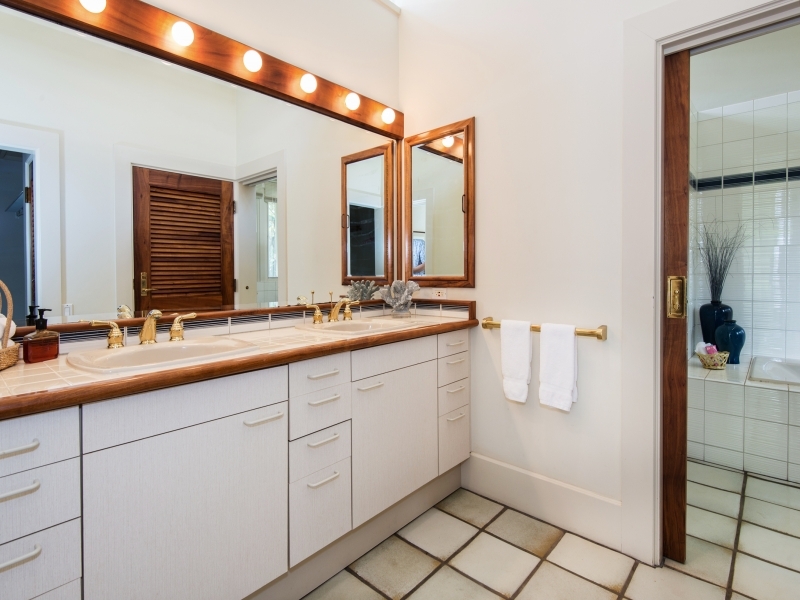 Six bedrooms and eight bathrooms provide ample space for families large and small. 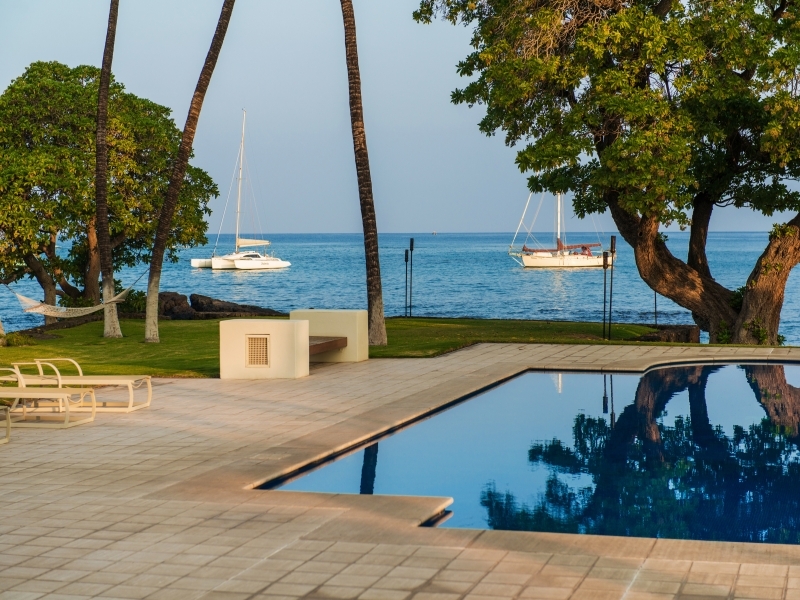 An extensive pool terrace with blue-tiled swimming pool is the focal point of the main waterfront lawn. 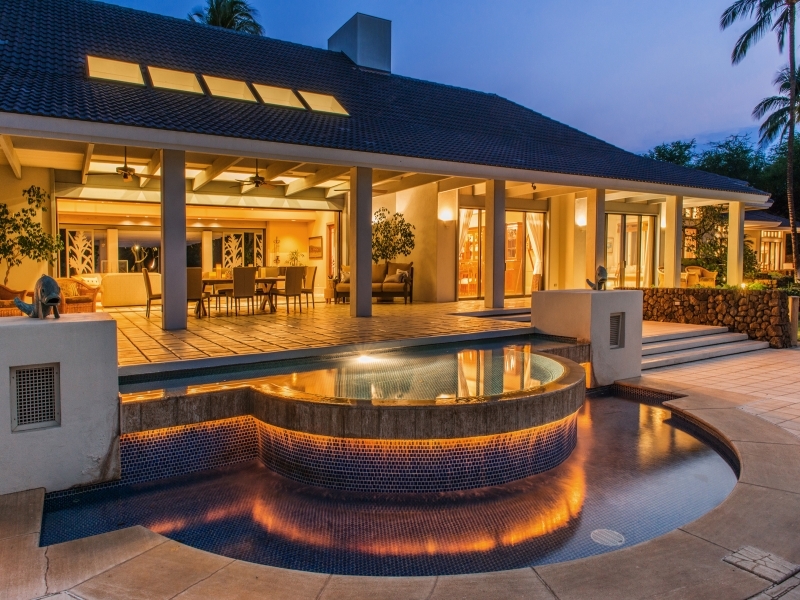 Tiki torches ring the perimeter providing a dramatic setting at sunset. 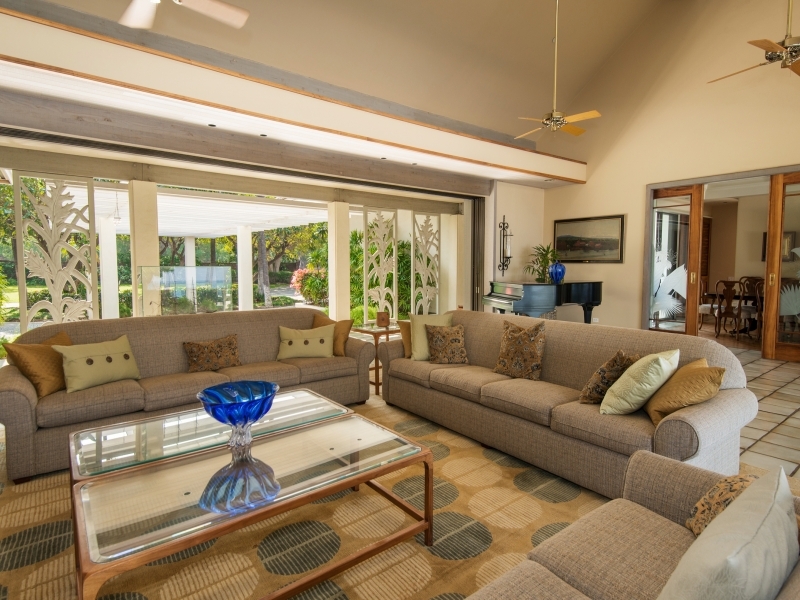 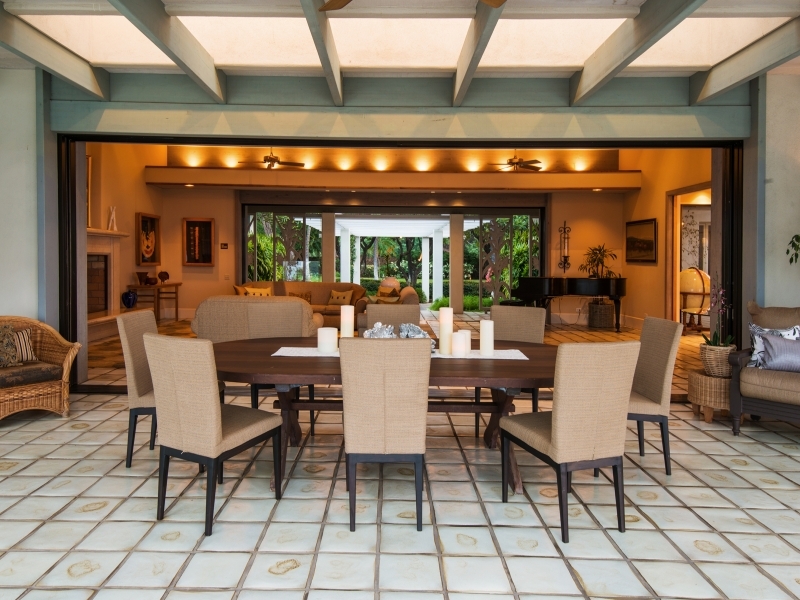 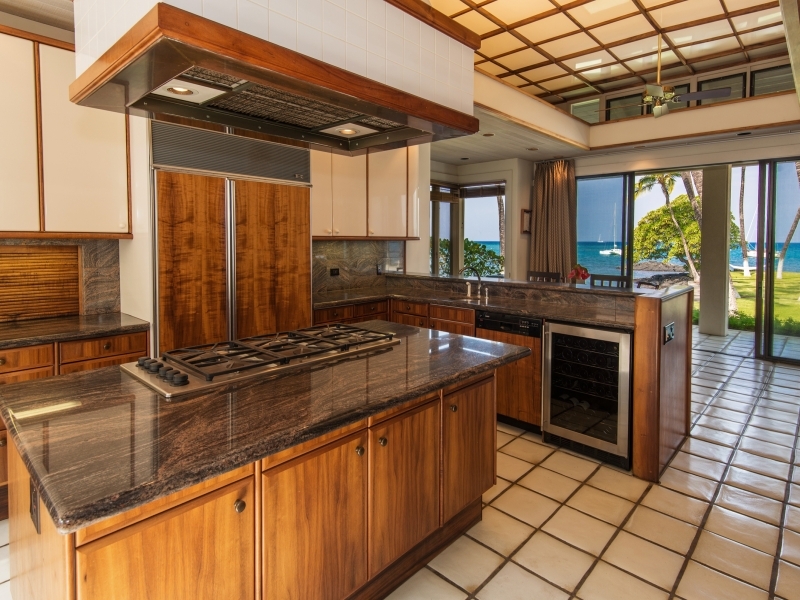 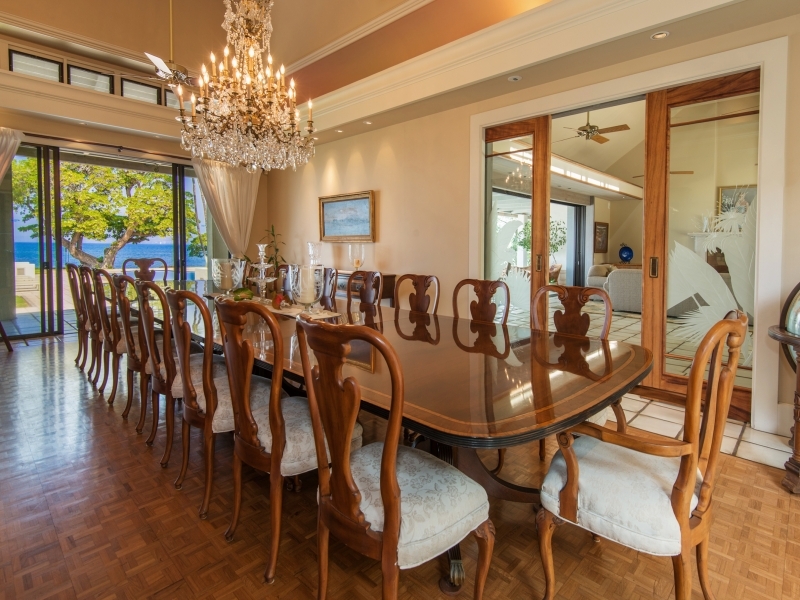 The home includes a fully equipped kitchen, formal living and dining areas and open-air, covered lanai, presenting many options for gatherings and dining. 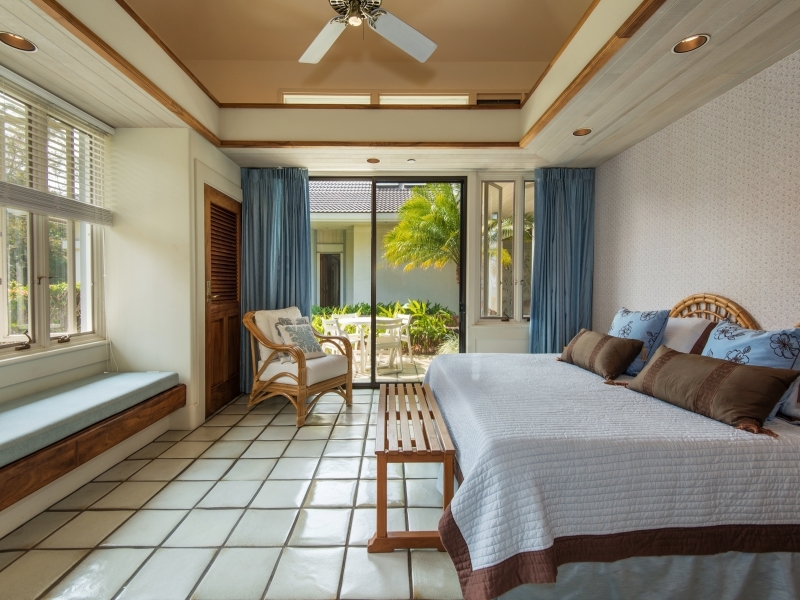 Each guest suite includes en-suite bath with flexible bedding configurations to accommodate many types of family situations. 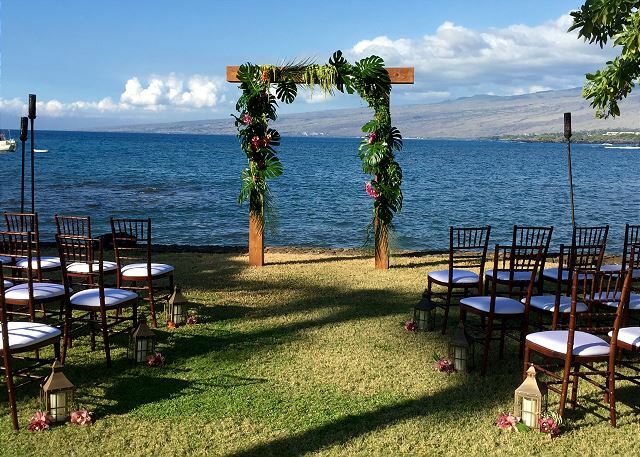 Ideal for weddings, a corporate retreat or a family getaway, Puako Plantation is centrally located on the Kohala Coast with easy access to nearby Resort beaches and dining and just 20 minutes to the upcountry town of Waimea. 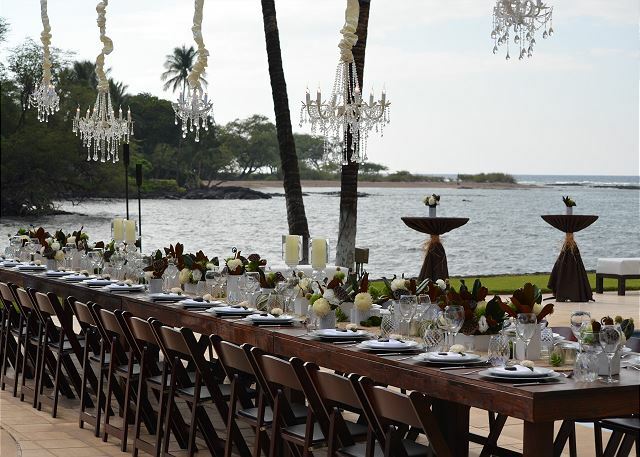 *Events allowed with rental for additional fee and restrictions.